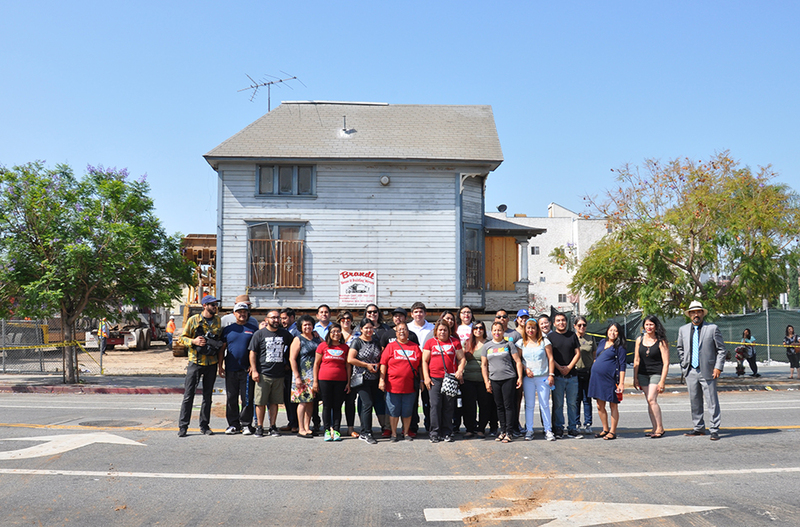 On June 30, 2016 the East LA Community Corporation (ELACC) took the next step in its preservation efforts of the ca. 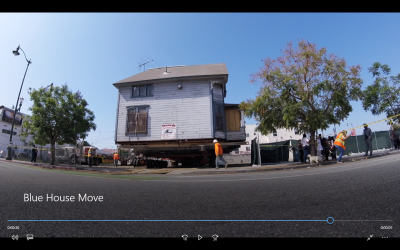 1890 Peabody Werden Duplex in Boyle Heights by relocating it to the other side of the street. The Peabody Werden House is a two-unit, two-story residential property in the Boyle Heights neighborhood of Los Angeles, California. Constructed ca. 1890, the House is one of the oldest and few remaining examples of a turn-of-the-century duplex residential property composed in the Queen Anne style. It was found to be individually eligible for listing on the National Register of Historic Places (National Register) in 2001 as part of a historic resources survey for the Los Angeles Metro Authority’s Los Angeles Eastside Corridor Environmental Impact Report (EIR). Many community members came out to watch the move. The Peabody Werden house was jacked up and strapped to steel beams on hydraulic rollers. The Peabody Werden House moved across the street. 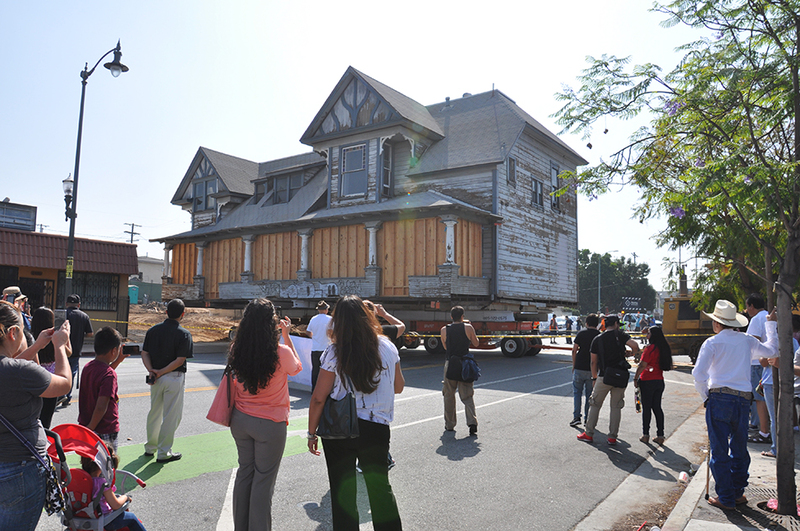 Crowds gathered to watch the 121-year old house pass across the street. Page & Turnbull was hired early on to study the feasibility of relocating the sizable duplex. Though it would be challenging, due to the sheer size of the house, Page & Turnbull concluded that relocation was indeed possible. Page & Turnbull was then further retained to prepare permit drawings to relocate the house to a receiver site across the street. 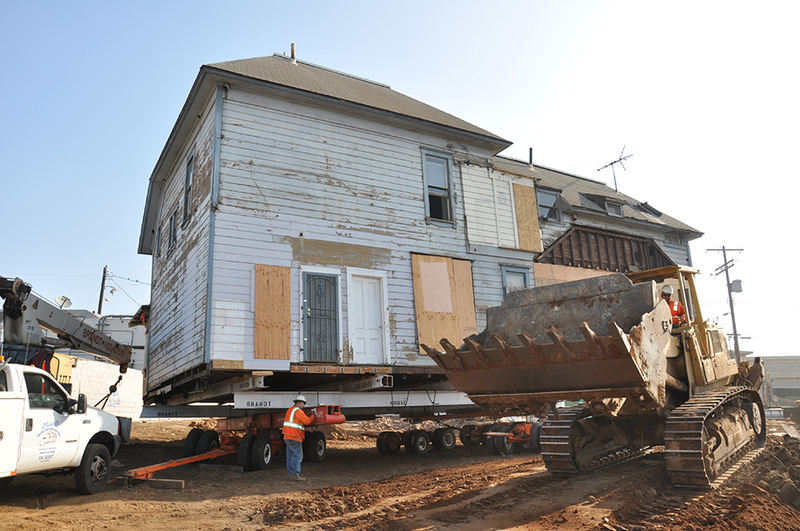 The Duplex was moved intact, following removal of non-contributing additions to the rear of the property. The relocation of the historically significant building was required as part of ELACC’s Cielito Lindo affordable housing development. Future rehabilitation and reuse of the Peabody Werden Duplex will occur as part of a separate development, the Soto Station Joint Development project, which is being developed by ELACC in partnership with Los Angeles County Metropolitan Transportation Authority (Metro) and is currently in Entitlements Phase. East LA Community Corporation (ELACC) is a non-profit organization building grassroots leadership, affordable housing, self-sufficiency and access to economic development opportunities for families in Boyle Heights and unincorporated East Los Angeles.